In August 2011, The League of Women Voters of Wisconsin publicly announced its intention to file a lawsuit challenging the constitutionality of the new Wisconsin Voter ID law. While no complaint has been filed as of date, and it is undoubtedly foolish predict the likelihood of success of any lawsuit without first reading the complaint, one would expect the promised lawsuit to face a hostile reception in the courts. This statement does not mean that the Wisconsin Voter ID law reflects good public policy. Many people believe that it does not. Nor does the above statement mean that the existing judicial precedent focusing on state voter ID laws does a particularly credible job at analyzing the constitutional issues raised by this type of legislation. Many will argue that the existing precedent is flawed. However, the current legal landscape is what it is, and the fact remains that any future legal challenge by the League of Women Voters seems unlikely to succeed. The text of the United States Constitution does not expressly guarantee the right to vote. Nonetheless, in Harper v. Virginia State Board of Elections the United States Supreme Court ruled that the right to vote in state elections is a fundamental right protected by the Equal Protection clause of the United States Constitution. A large body of precedent has reaffirmed the primacy of the right to vote under our constitutional structure, holding that the ability to vote cannot be arbitrarily abridged or denied to groups of otherwise legitimate voters. Notwithstanding the recognition that the right to vote is fundamental, the United States Supreme Court has declined to apply strict scrutiny to all election regulations which place some minor, even-handed burden on the ability to cast a ballot. Beginning in the case of Anderson v. Celebrezze, and continuing in the case of Burdick v. Takushi, the Court has held that state election regulations are subject to a sliding scale of judicial review, with laws that significantly burden the right to vote receiving greater scrutiny than laws of general application which operate merely as an inconvenience to voters. This sliding scale of scrutiny has come to be called the Anderson/Burdick test. The key United States Supreme Court case analyzing the constitutionality of state voter ID laws is the 2008 case of Crawford v. Marion County Election Board. In 2005, Indiana passed a state law requiring every person casting a ballot in person to present a government-issued photo ID. The law did not apply to votes cast via absentee ballot. Various exemptions allowed indigent individuals and those with religious objections to being photographed to cast a provisional ballot which would be counted if the voter traveled to the circuit court clerk within 10 days after the election date and executed an affidavit. Under the Indiana law, residents are entitled to free state-issued photo IDs. The Indiana Democratic Party, among others, filed a lawsuit challenging the Indiana Voter ID law. The plaintiffs alleged that the Indiana Voter ID law was unconstitutional on its face because the requirement of a photo ID imposed a substantial burden on the right to vote as guaranteed by the Fourteenth Amendment. In a fractured ruling by the United States Supreme Court, a total of six Justices voted to uphold the Indiana Voter ID law but none of the written opinions was joined by more than three Justices. In a plurality opinion authored by Justice Stevens, and joined by two other justices, the Court applied the Anderson/Burdick balancing test. The plurality opinion weighed the legitimate state interests of Indiana in passing the regulation against the burden that the law’s requirements placed on those wishing to vote. Justice Stevens concluded that the plaintiffs had not provided evidence of widespread impediments to voting under the law sufficient to outweigh the state’s interest. The plurality opinion identified Indiana’s interests in passing the law as being the deterrence and detection of voting fraud, the prevention of voter fraud, and the safeguarding of voter confidence in the integrity of the electoral process. Justice Stevens accepted the validity of these state interests as unquestionably legitimate. The plurality did not require Indiana to provide evidence of past voter fraud, nor did it demand evidence of the greater potential for fraud associated with in-person voting as opposed to absentee voting, nor did it ask Indiana to provide evidence of the asserted connection between voter ID legislation and increased voter confidence. In fact, the plurality expressly noted the absence of any evidence in the record to support the existence of these three state interests. Yet it found these state interests to be legitimate nonetheless. Against these interests, the plurality weighed the burdens imposed by a photo ID requirement imposed on voters. Justice Stevens noted that IDs can be lost or stolen, but considered the denial of the right to vote under these circumstances to be infrequent. The plurality found that the fact that Indiana provided free IDs meant that the most common burden faced by those who did not already own a photo ID would be limited to traveling to the department of motor vehicles, gathering the required underlying documentation, and posing for a photograph. While certain individuals might find these actions burdensome, for most of the population they would be nothing more than an inconvenience. For those limited number of persons who did find compliance with the law to be more difficult than the average voter, the plurality opinion stated that the Indiana statute’s grant of a right to cast a provisional ballot without obtaining a photo ID would mitigate the severity of the burden caused by an ID requirement. The lack of a serious burden on a widespread basis, and the fact that the law’s burdens were imposed on all voters on an even-handed basis, led Justice Stevens to conclude that the plaintiffs had failed to meet the heavy burden of persuasion necessary to overcome Indiana’s interests. Therefore, the plaintiffs failed in their facial challenge to the Indiana Voter ID law. A facial challenge to a statute asserts that the law may rarely if ever be constitutionally applied. To succeed, a plaintiff must demonstrate that there are no possible circumstances under which the law is valid. In contrast, an “as applied” challenge is a claim that a statute is unconstitutional in a particular case. The plurality opinion left open the possibility that a challenge to the Indiana Voter ID law might be possible on an “as applied” basis if a particular voter or group of voters could demonstrate that the law imposed an unjustified burden specifically on them. In a concurrence, Justice Scalia argued that the plurality opinion should have applied the Anderson/Burdick test in a manner that is even more deferential to the state. He argued that only laws that “severely” burden voting rights should be subjected to heightened judicial review. Because he viewed any generally applicable, non-discriminatory voting regulation as incapable of placing a severe burden on the exercise of voting rights, Justice Scalia argued that the Court should defer to the state legislature’s judgment that the regulation is justified. He concluded that neither a facial challenge to the Indiana law nor an “as applied” challenge should be permitted. In the absence of facts demonstrating a severe burden, Justice Scalia would hold that the Constitution requires nothing more than that the Indiana law not significantly increase the typical burdens associated with the voting process, and that Indiana identify an interest in the law sufficient to justify any minimal burden imposed. Only when state laws impose severe and unjustified burdens on the right to vote, according to Justice Scalia, should the Court proceed to apply heightened scrutiny to the state law. However, only two Justices joined Justice Scalia’s concurrence. Instead, the three Justices in the plurality and the three dissenting Justices applied the Anderson/Burdick test in a way that required the Court to balance state interests against the burden placed on the right to vote in all cases, however slight the burden, and not just in cases where the particular burden might be characterized as “severe.” In addition, these six Justices also appeared to agree with the proposition that, even if the plaintiffs in the Crawford case had failed to meet the high burden required to prevail on a facial challenge to the law, it remained an open issue whether the Indiana law might be unconstitutional on an “as applied” basis. Two dissents were filed in the case. The dissenting opinion authored by Justice Souter (joined by Justice Ginsburg) argued that the proper application of the Anderson/Burdick test requires the state to provide factual evidence in support of its proffered interests before the Court will allow the state interest to overcome a demonstrated burden on the right to vote. The dissenting opinion authored by Justice Breyer argued that Indiana had failed to explain why it could not satisfy its purported interests in a photo ID and still permit the use of a broader array of IDs, such as student IDs or employer-issued badges. The Crawford decision has been criticized for misapplying the Anderson/Burdick test. Critics have argued that the plurality opinion in Crawford applies the balancing test in an overly deferential way that approximates mere rational review of the Indiana statute. However, the Court’s original explication of the Anderson/Burdick test indicates that, while something less than strict scrutiny should be applied to laws uniformly burdening voting rights, the Court intended to preserve some form of heightened scrutiny in order to ensure that the state can document that the voting regulation at issue is justified. These critics believe that the dissenting Justices in Crawford applied the Anderson/Burdick test correctly. Admittedly, the original language the Court quotes setting forth the Anderson/Burdick test is vague and confusing, leading other critics to focus not on the Crawford decision but instead cast blame on the Anderson/Burdick test itself. These critics argue that, by adopting a balancing test for challenges to non-severe and even-handed restrictions on the ability to vote, the Supreme Court’s rulings in Anderson and Burdick essentially overturned prior precedent recognizing that the right to vote was a fundamental right. In addition, the Anderson/Burdick test itself can be criticized for allowing a judge’s subjective opinion of what is and is not a “severe” restriction on the right to vote to determine the standard of judicial review. In the wake of the Crawford decision, it is clear that four significant hurdles stand in the way of any future litigation challenging a state voter ID law. First, the Court has imposed a heavy burden on plaintiffs who wish to bring a legal challenge to a state voter ID law. To succeed, plaintiffs would have to provide factual evidence of widespread and significant burdens that a photo ID requirement actually imposes on individuals who wish to vote. In addition, should a plaintiff in such a case actually acquire a photo ID at any time after filing suit, they would no longer be injured by the law and their claims would become moot. In other words, in order to succeed in a challenge to the law the plaintiffs must provide both factual evidence of widespread barriers to the possession of a photo ID and, concurrently, the plaintiffs’ ongoing inability to successfully obtain an ID. Gathering this empirical data and identifying the appropriate plaintiff(s) will not be easy. Second, the Crawford plurality rejected the plaintiff’s argument that all laws burdening the ability to cast a ballot should be subjected to strict scrutiny. Instead, the plurality applied a balancing test whereby the court must weigh the burden imposed by a voter identification law against the relevant and legitimate interests of the state. A balancing test is inherently subjective, and gives individual judges leeway to apply pre-existing biases, opinions and/or political philosophies to the weighing process. Third, the Crawford plurality explicitly found that the state’s interest in preventing potential fraud, and in maintaining public confidence in the integrity of the voting process, was sufficient to outweigh the burdens imposed by the Indiana law. The state of Indiana was not required to produce any evidence of actual voting fraud in prior elections. Finally, none of the typical burdens associated with voter ID laws was found to be sufficient to outweigh the state’s interest. The Crawford plurality recognized that voter identification laws may require persons to travel significant distances to motor vehicle licensing centers, and that many people would find it difficult to reach these centers using public transportation, and that the elderly and the indigent might find it difficult to obtain identifying documents such as birth certificates. None of these typical burdens associated with a photo ID requirement were found to be sufficient enough to outweigh the interests of the state of Indiana. Despite the barriers to future litigation erected by the Crawford decision, there remain at least two viable legal theories by which to challenge a state voter ID law under the U.S. Constitution. In Harper v. Virginia Board of Elections, the U.S. Supreme Court found that a state law conditioning the right to vote on the payment of a poll tax was an invidious restriction on the right to vote, because the ability to pay the poll tax is unrelated to any legitimate voter qualification. The Crawford plurality opinion did not purport to modify or overrule this precedent, and, in fact, suggested that the failure to provide free photo IDs would have been fatal to the Indiana Voter ID law. A successful “as applied” challenge to a Voter ID law would require empirical data on the number of registered voters who do not already possess an acceptable photo ID and, in addition, either cannot obtain an acceptable ID under the law or else would face a significant burden in obtaining an acceptable ID. On the one hand, it might be possible to provide empirical evidence that under the Wisconsin Voter ID law a distinct population of Wisconsin residents is absolutely denied the right to vote. For example, individuals who are homeless and who live on the street may find it impossible to satisfy the requirement to demonstrate residency in order to obtain a photo ID. However, specific data on the number of homeless persons who live on the street in Wisconsin, and who cannot provide acceptable evidence of residency under the law, would be difficult to collect. More likely, it might be possible to gather empirical evidence demonstrating that distinct populations within the state face a more significant burden under the law than the typical voter. Post-Crawford, an “as applied” challenge might be possible on behalf of those who 1) find it prohibitively difficult to travel long distances to nearest available department of motor vehicle office; 2) lack access to mass transit or other forms of transportation (especially in in rural areas); 3) or are unlikely to possess the underlying documentation necessary to obtain a photo ID (passport, birth certificate, etc.) due to the passage of time or due to geographic distance from their place of birth. Distinct populations that might share one or more of these characteristics include the elderly, the disabled, the indigent, students who are residents but who are from out of state, and voters whose current name differs from the name on their birth certificate. A successful “as applied” challenge might be brought on behalf of one or more of these groups if there were empirical evidence that 1) large numbers of persons in these groups did not already possess an acceptable photo ID and 2) complying with the law would impose a significant burden on these individuals. 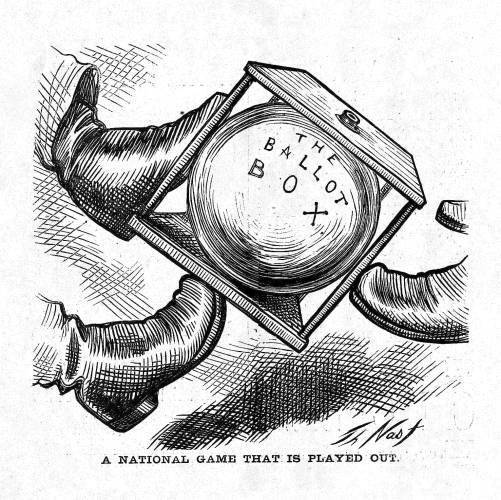 In general, state laws which set forth the time, place and manner in which elections are conducted will be upheld provided that they do not impermissibly infringe upon a fundamental right, do not apply unequally to state residents, and do not contravene express provisions in the state constitution that limit the legislature’s ability to place restrictions on the exercise of the franchise. An argument can be made that state laws requiring voters to present a photo ID when voting in person violate the equal protection clause of the state constitution because not all voters are equally burdened. In particular, absentee voters are not required to possess or present a photo ID in order to vote. In addition, some state supreme courts have interpreted the equal protection clause of the state constitution to provide a broader scope of protection than the equal protection clause of the United States Constitution. For example, in Weinschenk v. Missouri, the Missouri Supreme Court struck down the Missouri Voter ID law, relying in part on the fact that the Missouri Constitution has been interpreted to provide greater equal protection against unequal rights than the federal Constitution. The Weinschenk opinion also noted that the equal protection clause of the Missouri Constitution required the court to apply strict scrutiny to state laws that impinge on fundamental rights, and that Missouri precedent provided a strong basis for concluding that the right to vote is a fundamental right protected under the Missouri Constitution. Wisconsin courts often have used language suggesting that the right to vote is a fundamental right protected by the Wisconsin Constitution. Where a state law touches upon important individual rights, the Wisconsin Supreme Court would normally apply a heightened form of judicial scrutiny in order to assure a close fit between the law’s means and the law’s ends. This analysis would suggest that the Voter ID law should receive heightened scrutiny under the equal protection clause of the Wisconsin Constitution. However, precedent interpreting the Wisconsin equal protection clause does not typically grant that clause a more expansive scope than the 14th Amendment of the United States Constitution. Instead, Wisconsin precedent generally emphasizes that Wisconsin’s own equal protection provision is to be interpreted as co-extensive with the equal protection provision of the federal Constitution. In the absence of strong precedent indicating that the state constitutional provision has a broader scope than the 14th Amendment of the U.S. Constitution, it appears unlikely that a Wisconsin court would apply strict scrutiny to the Wisconsin voter ID law. Instead, were it to reach the issue, the Wisconsin Supreme Court might be expected to follow the approach used in the Crawford decision and to evaluate any state law regulating the right to vote under a more deferential balancing test. A second, although related, argument in favor of expanded protection of voting rights under a state constitution is that constitutional provisions listing the qualifications of voters are the exclusive permissible qualifications on the right to vote. Therefore, the state legislature may not make substantial changes to these qualifications, or add additional qualifications, in the absence of an amendment to the constitution. This argument stresses that the legislature lacks the power under the state constitution to amend the list of voter qualifications contained in the constitutional text merely by passing a statute. In order to prevail under this argument, however, the plaintiff must convince the court to interpret the state constitution’s listing of specific voter qualifications as if the specified qualifications were the exclusive qualifications permitted. In addition, the explicit voter qualification provisions located within state constitutions also support the argument that the right to vote is more of a fundamental right under a state constitution than it is under the federal Constitution. After all, the federal Constitution lacks any provision listing the explicit qualifications for casting a ballot, and instead largely leaves the regulation of elections to the states. Therefore, the argument goes, state constitutions should be interpreted to provide greater protection for voting rights than the federal Constitution. This argument was stressed by the Missouri Supreme Court in the Weinschenk case. Electors. Section One. Every United States citizen age 18 or older who is a resident of an election district in this state is a qualified elector of that district. 2. Providing for registration of electors. 3. Providing for absentee voting. a. convicted of a felony, unless restored to civil rights. b. adjudged by a court to be incompetent or partially incompetent, unless the judgment specifies that the person is capable of understanding the objective of the elective process or the judgment is set aside. 5. Subject to ratification by the people at a general election, extending the right of suffrage to additional classes. It is possible to argue that Article III should be interpreted to create an absolute right to vote on the part of the electorate so long as the qualifications of Section One are met. Under this interpretation, age, citizenship and residence are the exclusive qualifications for casting a ballot in Wisconsin, and the Wisconsin legislature may not add additional requirements to the list contained in Section One. In contrast, Section Two, which is titled “Implementation,” allows the legislature to define residency and to provide procedures for registration, but it does not allow the legislature to add additional substantive qualifications to the list in Section One. The possession of a state-issued photo ID might be viewed as a substantive qualification limiting the pool of eligible voters, and therefore beyond the constitutional authority of the legislature. However, arguing against this interpretation is the fact that the right to vote in an election is not explicitly guaranteed by the language of Section One of the Wisconsin Constitution. In addition, nowhere does the text of the Wisconsin Constitution explicitly state that the qualifications listed in Section One should be read to comprise the exclusive list of permitted qualifications in the absence of a constitutional amendment. It is relevant to note that, while the Missouri Supreme Court interpreted the Missouri Constitution to contain an exclusive list of voter qualifications in Weinschenk, a case that pre-dated the Crawford decision, subsequent to Crawford the highest state courts in Indiana, Georgia and Michigan have all declined to interpret their state constitutions in such a fashion. Instead, these later cases read the photo identification requirement as akin to a “time, place and manner” regulation that occasionally operates to prevent votes from being cast, such as a provisions dictating when polling places open or close, and not as an attempt to add an additional qualification for voting rights. Litigation challenging the constitutionality of state laws imposing a voter ID requirement faces an uphill battle under existing judicial precedent. Individuals and advocacy groups concerned about the possibility that voter ID laws may act to disenfranchise certain populations should not look to litigation as a “magic bullet” to overturn such laws. Instead, critics of voter ID laws should consider working to elect representatives who will amend or repeal such legislation. Alternatively, critics should consider forming or supporting non-profit entities that work at the grassroots level to identify and assist anyone who needs help in obtaining a photo ID. The League of Women Voters filed its Complaint today. It is available on the Wheeler Report website. More information on the lawsuit is available at the Huffington Post here. The Complaint focuses on the Wisconsin State Constitution and the argument that the Voter ID law violates Article III. The Brennan Center for Justice at New York University School of Law recently released a report that analyzed the changes nationwide in voting laws. The need to show photo identification at the polls has been the biggest change, with 34 states introducing legislation with that requirement, and five states, including Wisconsin, passing it. The report suggests that millions may be disenfranchised by the new laws. Says the report, “These new restrictions fall most heavily on young, minority, and low-income voters, as well as on voters with disabilities.” To read the full report, click here. This fanaticism over voter IDs is simply a way to harass poor people, keep Republicans in office and gloss over the fact our national voting system is a broken disgrace. Bush v. Gore proved that. The US Supreme Court gave us an appointed president and the nation has been in a tailspin ever since. Good for Judge Flanagan who was appointed to the bench by Republican Tommy Thompson. Given the scant evidence of actual vote fraud in Wisconsin, coupled with the undue burden voter ID places on many of our citizens, this ruling is correct. Not only is voter ID an infringement on the right to vote, it is a 21st Century version of a poll tax. To summarize, last week in a separate case Judge Flanagan applied strict scrutiny to the law and concluded that the infringement of the right to vote under the Wisconsin Constitution was significant and was not justified by any compelling evidence produced by the state. In contrast, Judge Niess ruled that Article III of the Wisconsin Constitution sets forth the exclusive qualifications for voters and that the legislature lacks the power to add any additional qualifications. Both rulings are interpretations of the Wisconsin Constitution, and thus both opinions avoid the U.S. Supreme Court decision in Crawford that found that voter ID laws do not violate the federal Constitution. The requirements/obstacles/cost ( birth certificate, limited DMV hours) on obtaining a valid ID essentially make it a poll tax. Access hours to obtaining a voter ID in Indiana are significantly greater than in Wisconsin. Indiana has more DMVs and the hours of operation are greater. One could make a case for how the DMV displays the ID freebie sign. There is no audio. Blind or illiterate citizens could be considered discriminated against. Three small signs exist at the DMV stating the no cost option. Workers are not required to state that the ID is free. Veterans are being rejected trying to vote using their federal ID. Wisconsin has the the strictist ID law in the nation. There is indeed a difference between Indiana law and Wisconsin law. APPLES AND ORANGES. Just saying…. Next Next post: Al Davis, R.I.P.